A CURRA family are concerned for the safety of their children due to regular hooning down a nearby road. 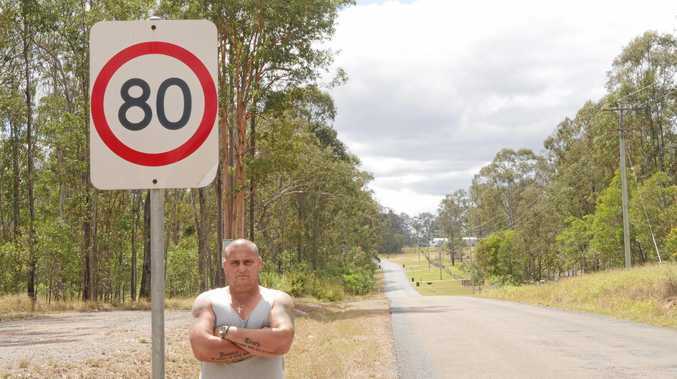 Resident Mick Arnup argued the speed limit on Atkinson Rd in Curra, currently 80km/h, is too high especially considering the poor state of the road. "To me this is clearly a safety issue,” he said. Local Dad won't let hoons endanger his kids: Curra local Mick Arnup says the high speeds and terrible conditions of the road his children use to get to school can'tlast. 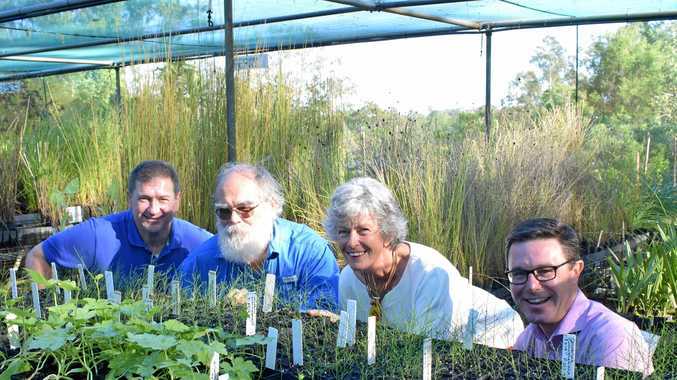 The road is a direct link to the Bruce Highway, and regularly sees traffic as large as semi-trailers moving through at high speeds. Arnup claims the spot is regular area for hoons, with tyre marks clearly seen across the road. A local bus stop for the nearby school has no markings or indicators, with the area perilously close to the open road. Attempts to have the speed reduced to at least 60km/h have so far been unsuccessful. A meeting with local council has yet to see any work or plans announced for the area, causing major frustrations. "We talked to them more than a month ago about this, and nothing's come of it,” Mick said. A spokesperson from Gympie Regional Council confirmed that the road's speed limit had in fact been raised almost five years ago. However, they were unable to disclose the reasoning behind the change. In addition to the lowering of the speed limit, Arnup would ultimately like to see the area renovated,with the addition of footpaths or barriers separating the main road from the stop. Despite the setbacks, Arnup is adamant he'll keep fighting the issue until something changes. "I don't go away when I know there's an issue, especially when it's about my kids,” he said.